Ask most people to define a softshell, and they usually give you vague answer like "well, it&apos;s almost a hardshell but it&apos;s more than just a fleece. I dunno." That leaves a lot of open ground. Softshell jackets range from completely waterproof jackets that can take on pretty much any storm to ultralight stretch shells that provide maximum breathability for highly aerobic activities. This guide tries to help you find one that works best for you. 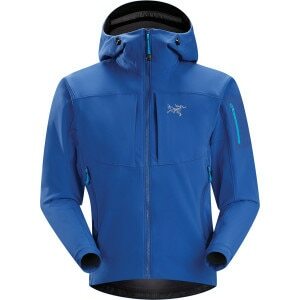 Why Get a Softshell Jacket? Anything! Softshell have seen use for everything from ultralight backpacking to high-altitude mountaineering. These jackets shed wind and water thanks to the tightness of the fabric&apos;s weave. Most stretch-woven jackets keep you dry in pretty brutal snow or moderate rain, but eventually moisture will win out and you&apos;ll start to get a bit wet. However, if you&apos;re working hard, your body heat drives out the moisture, so you probably won&apos;t get totally soaked as long as you&apos;re moving. Just like hardshells, these jackets feature	a waterproof breathable membrane for weather protection. The difference is that membrane softshells use a slightly looser weave for increased breathability. Keep in mind that "looser" is measured in this case on a microscopic level. These jackets will hold off hours of horrendous downpour. It has to be a full-on monsoon to soak through a softshell with a membrane. 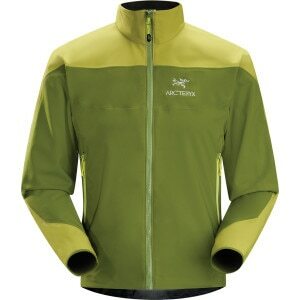 Check out our entire selection of Men&apos;s and Women&apos;s softshells. Why stop there? We have what it takes to outfit you for the backcountry: shop backpacks, layers, rain shells, and more.